Disdaining all traditional “schools” of literary thought, he has defiantly followed his own path. Believing that no approach is off-limits when analyzing a text or concept, Burke’s theories overlap into many different fields, including linguistics, psychology, philosophy, biology, and sociology. Although the highly technical nature of Burke’s writing has rendered him inaccessible to the general public, his ideas have had a profound impact on advanced thinkers in many of these disciplines. In the mid-1970s, Burke’s grandson, noted singer and filmmaker Harry Chapin, interviewed Burke as part of a never-completed documentary. This film has been edited from those interviews. 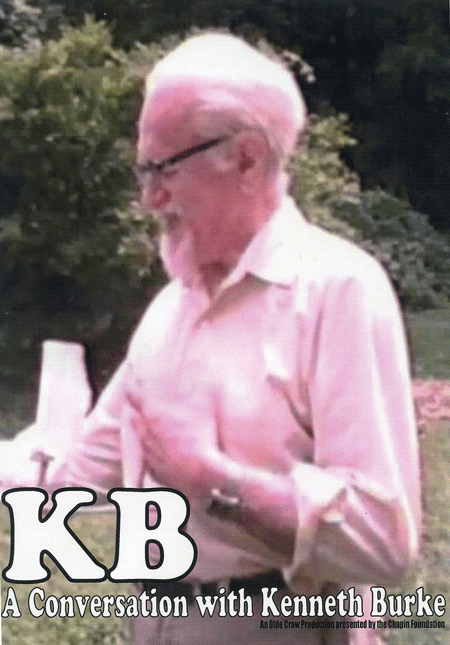 By necessity, it can only offer a small glimpse into the world of Kenneth Burke. It is our hope that viewers will be inspired to take a closer look at the life and work of this unique man.